Today my mother emailed me this recipe for Tim Tam balls, knowing that I would immediately want to make it. Usually I have zero follow through on these things, but today was different. 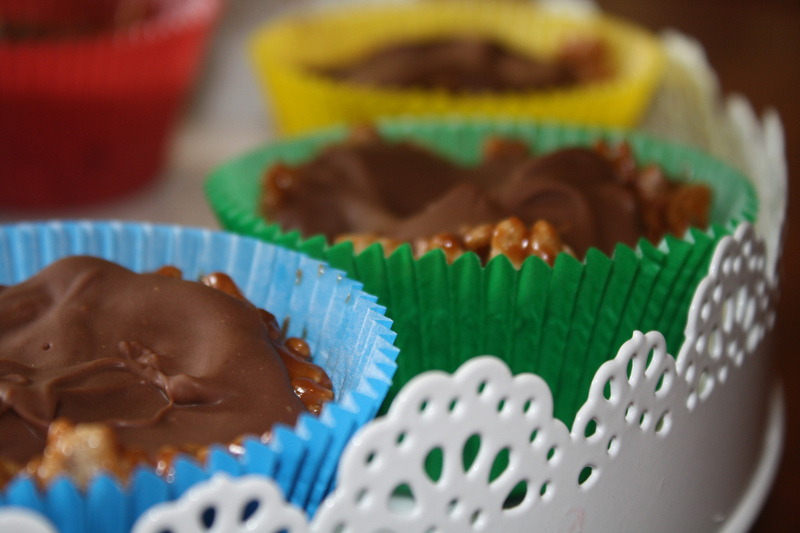 I then received an email about a work bake sale for Anzac Day. Thus, the impulsive thought was born. The recipe was incredibly simple, but from reading the comments the execution seemed to require a bit of tweaking. So here’s how I adjusted the recipe. 1. Blend biscuits in a food processor until fine. 2. Add 3/4 can of sweetened condensed milk. Blend till combined. 3. Roll mixture into balls about the size of a golf ball. 4. 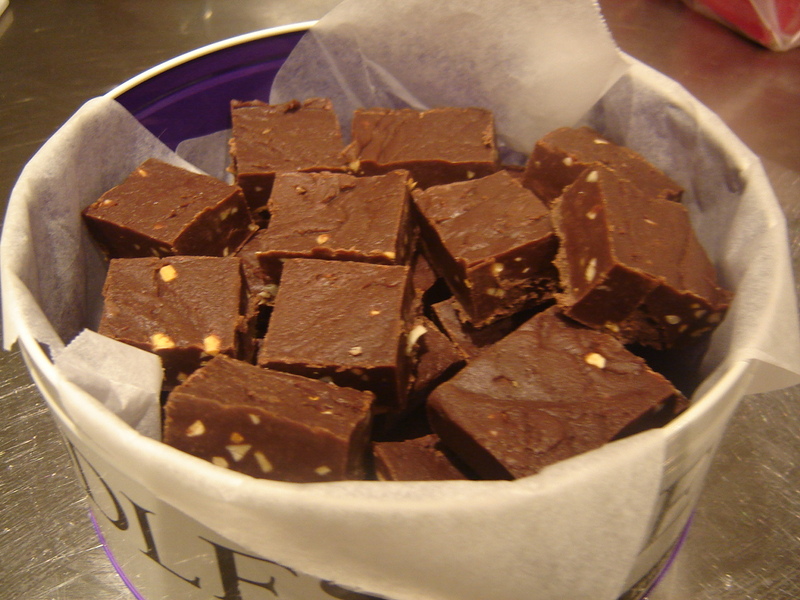 Grate chocolate, then roll balls in shavings. Chill to harden. Enjoy. As I said, it is incredibly simple. Already you can see (if you peeked at the original recipe) I doubled the amount of Tim Tams used. One packet of original Tim Tams has 11 biscuits and is 200g. But with a can of sweetened condensed milk at your disposal, it would overwhelm one packet. Even then, one full can is too much for two packets, thus not putting the whole thing in. I feel three packets could easily be mixed with one can and still create a mixture that is perfectly proportioned. 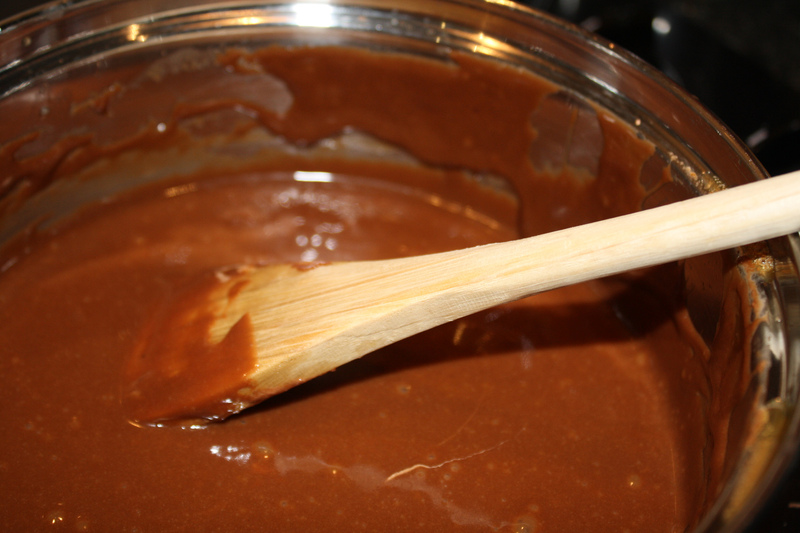 As it was, my mixture was sticky and well- mixed, but possibly had a little bit too much milk in it. They still taste good! It is one of those recipes that is easily changed depending on how many biscuits you use or how many balls you want to make. I ended up making 22 balls. The original recipe called for rolling the balls in coconut, but as I’m not the biggest fan, I decided on chocolate instead. 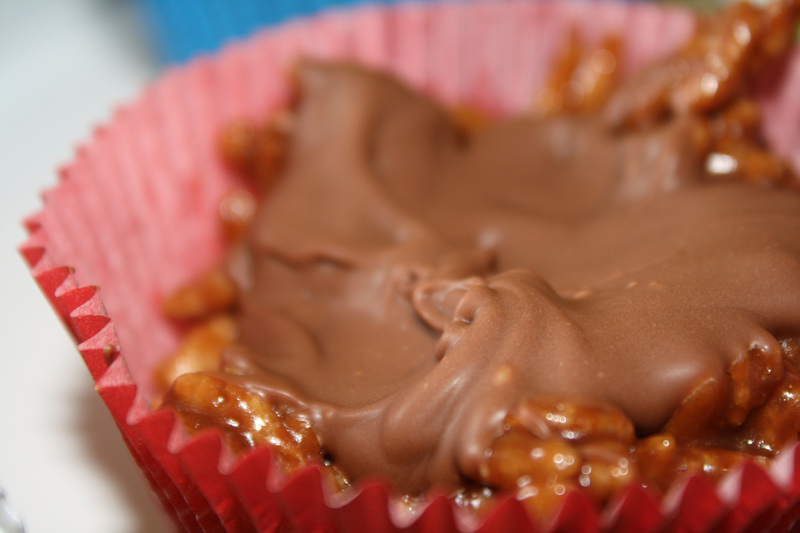 A bit of cocoa or your favourite chopped nuts would also work well. I can just imagine making this with every flavour of Tim Tam. Chocolate raspberry rolled in pistachios, anyone? 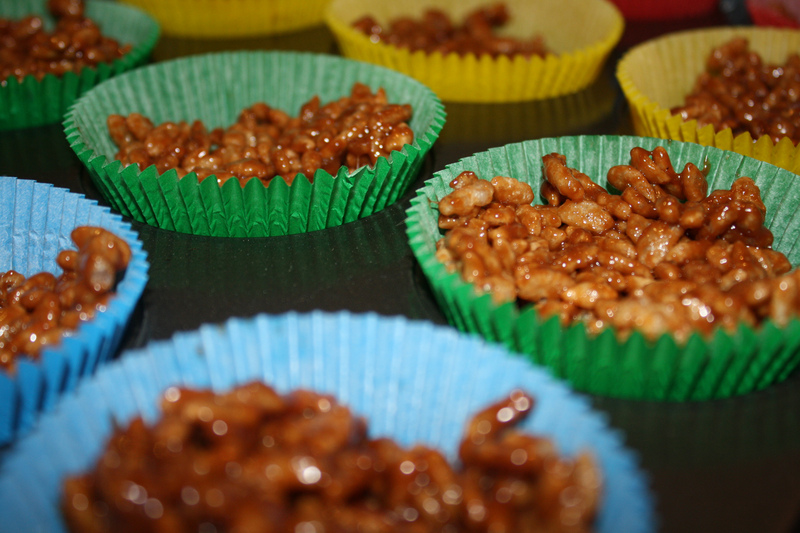 These aren’t really cupcakes, but a very simple way to do a rice bubbles slice which I used to have all the time as a kid. Line a 12-hole standard muffin pan with paper cases. 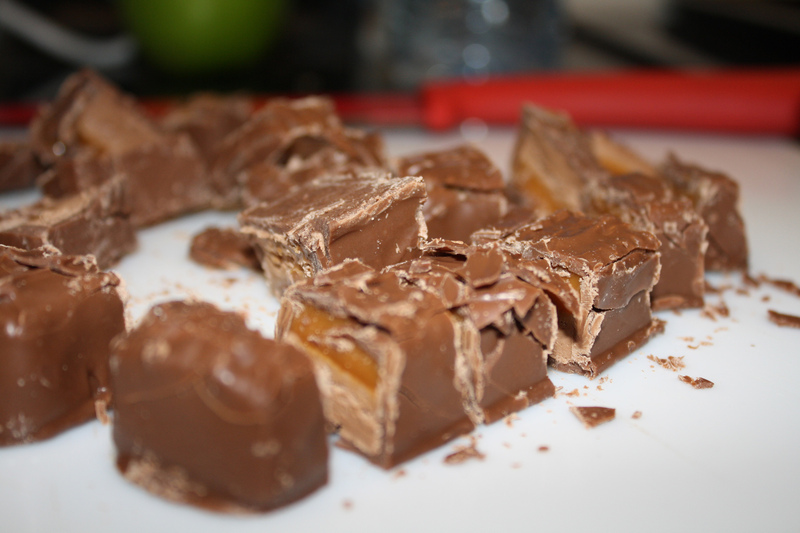 Chop four of the Mars bars coarsely; cut remaining bar into slices. 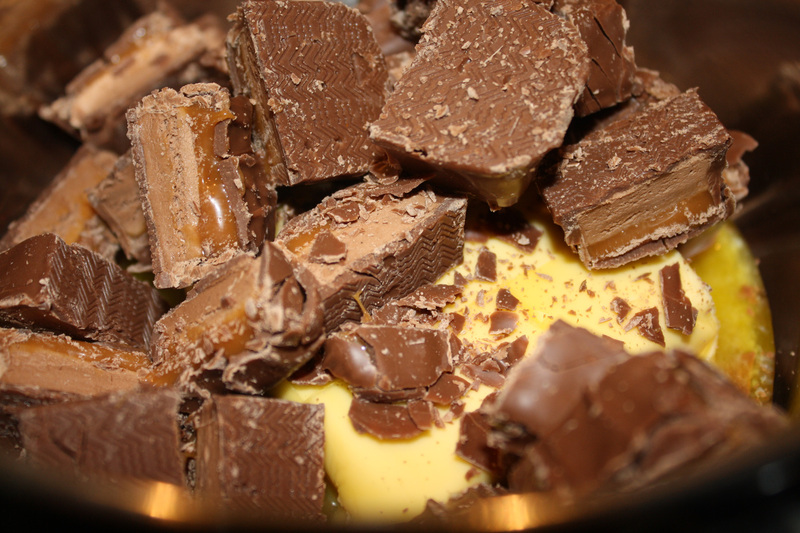 Place chopped Mars bars in medium saucepan with butter; stir over low heat until smooth. Stir in Rice Bubbles. 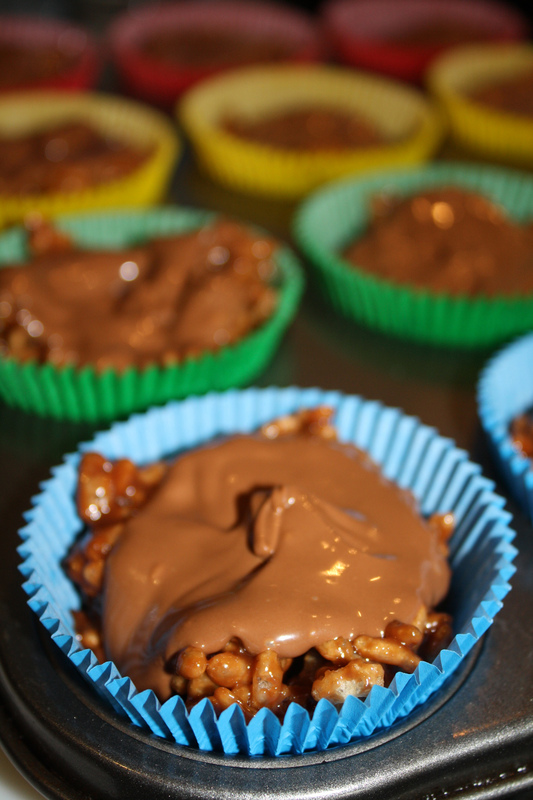 Press mixture into cases, spread with chocolate; top with sliced Mars bar. Refrigerate about 30 minutes or until set. I, however, did not put the chopped Mars bar on top, as Man Piece decided to help himself and ate one while I was not home.